The National Archives Department recently announced that certain government reports can now be viewed by the public since their specified time limit when they should not be made public is over. Among them is the report of the Commission of Inquiry on Bracegirdle 1937. At one time, Bracegirdle was almost a household word. The young British migrant to Australia who came Ceylon as a ‘creeper’ (trained tea planter) during the British raj was to head the headlines. It’s a fascinating story which reminds one of the popular Nimal Mendis/Neville song ‘Master Sir’ in Manim Sandrasagara’s ‘Kalu Diya Dahara’. Mark Antony Lister Bracegirdle arrived here in April 1936. He was soon to realise that the British planters were exploiting the Indian labour on the estates. Their attitude is “one of super snobbery which would make the blood of any decent-minded individual boil”. 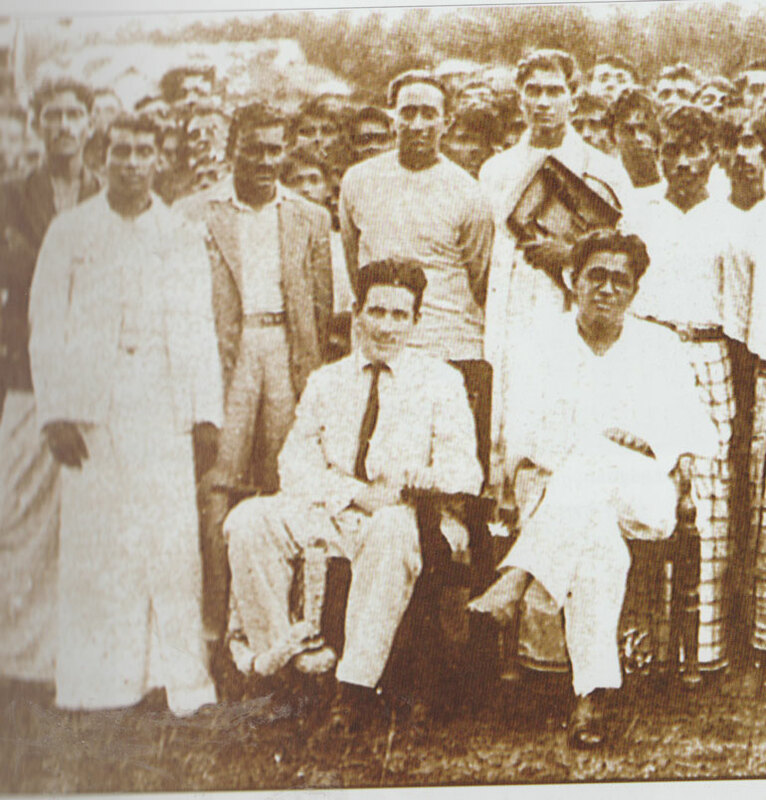 It didn’t take the young man much time to promote trade union activity among the plantation workers. The timing, in fact, coincided with the breaking-in of the newly-formed Lanka Sama Samaja Party (LSSP) to the plantation sector. Bracegirdle started supporting the Marxist party, addressing party meetings and lending a hand in party work. Naturally the planters were quite upset and had no difficulty in canvassing the administration on the need to deal with him. He was dismissed from his job. On 23 April 1937, Bracegirdle was issued with an order signed by Governor Sir Reginald Stubbs, on the instructions of the Inspector General of Police that he should leave the island on or before 6 p.m. the following day – 24 April. The deportation order was issued by the Governor under an 1896 Order-in-Council which related to action to be taken in emergencies. Defying the order, Bracegirdle ‘disappeared’. He was expected to be at the jetty to board the Australia-bound ‘Mooltan’ and by 5 o’clock crowds gathered at the jetty to say goodbye to him. LSSP stalwarts Dr. N.M. Perera and Leslie Gunawardena were also there. It was a Saturday evening. They all waited, but Bracegirdle was missing. Having waited till about 6:30, Dr. NM called for ‘three cheers to Comrade Bracegirdle’ and the crowd dispersed. Bracegirdle went into hiding and managed to evade the police until 7 May when he was arrested when he reappeared at a LSSP platform. Meanwhile, the LSSP had issued a writ of habeas corpus challenging the deportation order. Arguing the case before a Bench of three judges including Chief Justice Sir Sydney Abrahams, an Englishman, was the country’s eminent lawyer H.V. Perera. The judges ruled that Bracegirdle should not be deported for exercising his right of free speech and the Government was wrong to have used Emergency Laws as there was no emergency. The judgement was hailed as a fearless vindication of the rights of the Judiciary to stand between the Executive and the people. It was a vindication of the liberty of the subject and of the rule of law, both of which are fundamental to the conception of British citizenship. It was the time that the second State Council was in session. The Bracegirdle incident brought together members of the Council with different political ideologies to join a rally at the Galle Face green on 5 May to condemn the order and have it removed from the statute. The meeting was presided over by Dr. Colvin R. de Silva and among the speakers was S.W.R.D. Bandaranaike, a Minister, Deputy Speaker Susantha de Fonseka and George E. de Silva. That was the final message given by him. He left a few months later to spend a more sober life in Australia. LSSP’s role in the whole affair certainly created a massive awareness of the party and was a big ‘plus’.